Democrats have filed a bill to add data collection on LGBTQ people to the US Census. The bill, submitted by Democratic Senators Kamala Harris and Tom Carper, would begin the process of adding questions related to sexual orientation and gender identity to the decennial census and American Community Survey (ACS). The two Senators, who are both members of the Senate Homeland and Governmental Affairs Committee, introduced the Census Equality Act this week. There are few confirmed statistics on the LGBTQ population in the US as there is no official data gathering. The lack of data gathering makes it hard to tailor services for the wider LGBTQ community. Trump administration officials were reported last year to have overturned an Obama-era push to begin data collection through the Census Bureau. 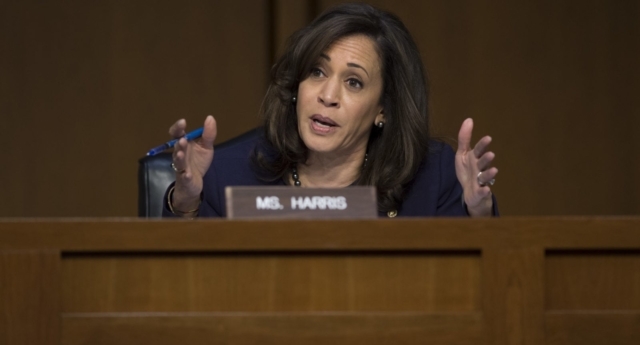 Senator Harris, a rumoured 2020 Presidential contender, said: “The spirit of the census is that no one should go uncounted and no one should be invisible. Senator Carper said: “We have a responsibility to ensure the information collected by the census accurately reflects who we are as a society and that everyone is counted fairly. “Today, despite the fact that roughly 10 million Americans identify as LGBTQ, the community is left unrepresented on the census. In order for our government and the businesses that drive our economy to work for the American people, they must have the most accurate and comprehensive data on those they serve. The bill has wide support from LGBT and civil rights groups. David Stacy of Human Rights Campaign said: “The Census Equality Act would help address the LGBTQ community’s underrepresentation in federal data collection efforts. Rea Carey, Executive Director for National LGBTQ Task Force, said: “The Census Equality Act will put the Census Bureau back on the path it initiated two years ago to count LGBTQ people. The bill is co-sponsored by 15 further Democratic Senators, including rumoured 2020 Presidential candidates Elizabeth Warren, Cory Booker, Kirsten Gillibrand and Jeff Merkley. Last year letters obtained and published by Senator Carper showed that under Trump’s anti-LGBT Attorney General Jeff Sessions, the Department of Justice vetoed the inclusion of data on sexual orientation and gender identity. Documents showed that the Department of Justice under Obama-era LGBT ally Loretta Lynch had formally requested “that the Census Bureau consider a new topic in the ACS relating to LGBT populations”. However, under Donald Trump, that decision has been swiftly reversed and the DOJ withdrew its request.